Assassin's Creed: Revelations is the fourth installment in the Assassin's Creed franchise and the final entry in Ezio Auditore's main storyline. A few levels also put players back in control of the original Assassin's Creed's Altair, and depict his rise to the Mentorship of the Crusades-era Brotherhood of Assassins. "an intriguing amalgamation of traditional animation, performance capture and the fascinating new style of performance on display in games like L.A. Noire." An unfortunate side-effect of this new face technology is that returning characters, such as Ezio Auditore, Altair Ibn la-Ahad, and most especially Desmond Miles, bear little-to-no resemblance to themselves from previous games. After being forced to murder his friend Lucy, Desmond falls into a coma and is put into the Animus's "black room" in an attempt to stave off brain death, rendering him a vegetable. Unbeknownst to the other Assassins, his consciousness is confronted with a challenge by the Animus and the "digital ghost" of Subject 16; Desmond must relive one last experience from the life of his ancestor, Ezio Auditore da Firenze, in order to reconstruct his fractured mind and awaken from his coma. It is revealed that the primary problem is that Desmond was already on the brink of going insane because of the crossover in his mind between his own memories and those of Ezio and their mutual ancestor Altair Ibn la-Ahad. In order to seperate their memories from his own and save himself, Desmond must synchronize his mind with a "key memory" that actually connects himself, Altair and Ezio together. Desmond begins reliving Ezio's later life in which he questions his life as an Assassin and how his life would've been had he made different decisions. Ezio embarks on a spiritual journey to Masyaf in a journey of self-discovery. Upon arrival, he discovers that Masyaf has been conquered by Templars. Upon infiltration of Masyaf, Ezio finds an ancient library chamber which can only be opened by five seals hidden in the ancient Ottoman city of Constantinople. Within Constantinople, he finds a Templar threat forming in the region, threatening to destabilize it, and must defeat it as he defeated the Borgia in the past in order to both recover the seals and bring peace to Turkey. At the same time, the seals themselves are made of ancient technology like the Pieces of Eden; using them allows Ezio to relive the memories of Altair in much the same way that the Animus allows Desmond to relive the memories of Ezio. In the end, Ezio unlocks the library room with the seals, and discovers that in truth, it is not a library, but a tomb; the final resting place of Altair, who sealed himself in with a Piece of Eden and a sixth seal showing his final moments. At this moment, the key memory takes place; standing in front of the body of Altair, Ezio turns and addresses Desmond, whom he somehow senses is watching him from centuries in the future, expressing his hope that Desmond will be able to find the answers to the questions that eluded Ezio during his lifetime. With his mind repaired, Desmond is contacted by Jupiter, one of The Ones Who Came Before, who gives him a grim vision of the end of the previous Human civilization, a doomsday which is rapidly approaching again, before giving Desmond another vision, of the location of a secret cache of technology, failed attempts to prevent the end of days, which the Assassins can hopefully use to save mankind. At this, Desmond awakens, and tells his friends he knows what he needs to do, only for them to reveal that they also somehow knew about it, and have taken him to the location while he was unconscious. Ezio is now in possession of a Hookblade. This hookblade is not only usable in close combat to pull enemies in but also allows him to use various zipwires scattered throughout the city and make corner chase breaker movements. A new crafting system has been implemented into the game which will allow players to craft over three hundred types of bombs from 3 categories: lethal, tactical and diversion. Ezio can carry up to 15 bombs. Eagle Vision is now 'Eagle Sense.' It will allow you to focus on a particular character and is described as: "You'll get an approximation of where he will go. If you're able to detect the path a guard will take, you can run ahead, set a bomb, and create a trap or an ambush." Assassins' Dens will act as the new 'Borgia Towers.' These dens are placed throughout the city and the player will need to complete set tasks in order to overthrow the Templar influence before they can use the den. Ubisoft have said that there will be a larger variety of methods/tasks that will allow the player to take these dens. Once a player is in control of a den they will be able to refurbish buildings in the region as well as set the behaviour of guards. In addition to this, players will be able to set a 'Master Assassin' to control the den so that they absolutely cannot be taken by the Templar. If you are unable to make it to a den that is currently under attack, you will be able to send your assassin recruits to defend it. Similar to Assassin's Creed: Brotherhood, this game features a multiplayer component. Ubisoft placed a bigger focus and structured narrative in the multiplayer of Revelations then the previous multiplayer incarnation. The multiplayer of Revelations features new customization options, both aesthetic and weapons, as well as the ability to create 'guilds', an specialised term for 'Clans'. A "beta" for Assassin's Creed: Revelations was released on Playstation 3, early for PlayStation+ members. 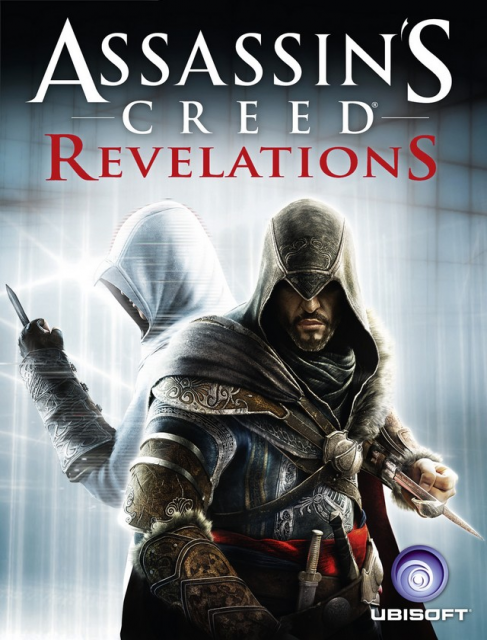 The early access for AC: Revelations Multiplayer came out on September 1, 2011 and the beta ended on September 10, 2011. As this was barely two months before the game released, this is not really a beta so much as a multiplayer-only demo. Upon the games launch, Ubisoft stated that it was working on various types on DLC for the game. The first one titled "Ancestors Character Pack" was released in December 2011, the four playable characters include Privateer, Corsair, Brigand and Gladiator. The second stayed within the multiplayer aspect of the game and was titled the "Mediterranean Traveler Map Pack" and included 3 brand new maps and 3 from the previous game and was released late January 2012. The first single player story driven DLC was released late February 2012 titled "The Lost Archive". It includes an insight into Subject 16's capture and the past of Lucy Stillman. The Collector Edition is a retailer exclusive special edition SKU with unique packaging and items. All PS3 versions of AC: Revelations come with a bonus copy of the original Assassin's Creed. The soundtrack was composed by Lorne Balfe and Jesper Kyd. It was released digitally by Ubisoft Music on three volumes on November 15, 2011.